On behalf of the Chinese Embassy I give my warmest congratulations to the China-UK Higher Education Roundtable. I am delighted that there is a great deal of Sino-UK education collaboration. But a most important component of this partnership is in higher education. · The increased scale of students exchange. · The rapid growth in the study of Mandarin. · And the jointly-run programmes. These are all clear signs of how education is taking a more prominent position in our relations. · More Chinese students are educated in Britain than any country in Europe. · The number of Confucius Institutes and Confucius Classrooms in Britain is the highest in Europe. · And Britain has more primary and secondary schools that offer Mandarin courses than its European peers. · And the first international co-operative university in China. Clearly, universities are the main players in our education co-operation. · Joint training of students. · Scholar and student exchange. · And joint establishment of Confucius Institutes. The vibrant higher education co-operation is bringing together our teachers, scientists and researchers. Most of all, such an enterprising initiative has offered our young people the chance to come together to build a shared future. There is no doubt that education is one of the most ambitious and productive collaborative ventures between our nations. The roundtable today coincides with the China-UK Education Summit. It has attracted a galaxy of leaders from prominent Chinese and British universities. That is why it is right for this meeting to be called the 'Summit Forum'. This is the kind of occasion when our university leaders are expected to take a long view and set higher and more challenging targets. I hope your discussions are deep and full of insight. This will help chart a clear vision for our universities and wider co-operation strategy. The leadership you provide will strengthen our educational partnership and contribute to long-term, sustainable and productive collaboration. And I believe that your deliberations are of fundamental importance for the future of the young people of both our nations. 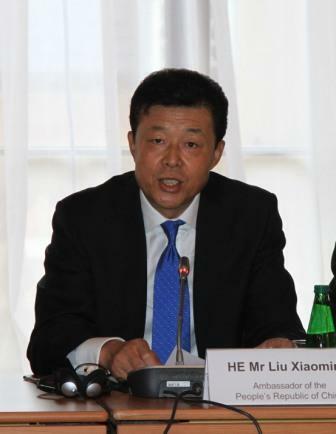 This 'Summit Forum' will lay a deep and solid base for China-UK relations to grow still further in the years to come. The roundtable provides an excellent platform to enrich each other's minds, to share best practices and to explore new ways of co-operation. The Chinese Embassy will be as supportive as ever of the wide-ranging and in-depth co-operation between Chinese and British higher education institutions. We look forward to playing an effective role as a bridge of communication and platform of services. 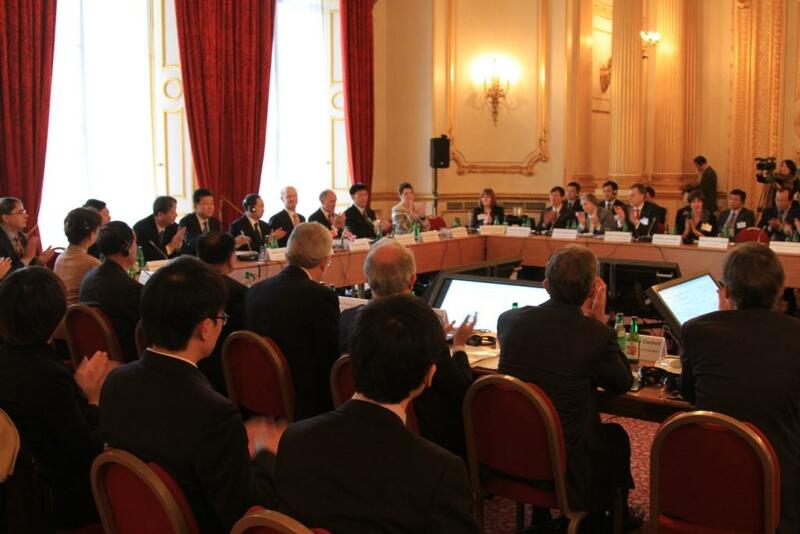 Let me conclude by wishing the China-UK Higher Education Roundtable a great success!